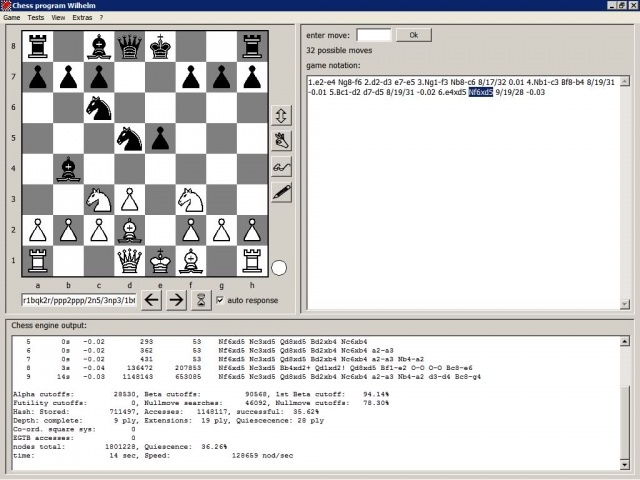 a chess program by Rafael B. Andrist with an own GUI running under Windows with focus on endgame research. The chess engine is witten in C with some small x86 Assembly routines, the GUI written in Visual Basic . Wilhelm knows about co-ordinate squares in pawn endgames with completly blocked pawns, and solves the Lasker-Reichhelm Position (Fine #70) instantly . It supports 5 and 6 men Nalimov Tablebases and features special EGTB analysis modes . 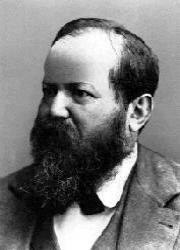 Wilhelm was used to model fallible endgame play  as elaborated by its author and Guy Haworth. Experiments agree well with a Markov Model theory .